Scientists have made the first direct observation of a key step in the process that bacteria use to rapidly evolve new traits, including antibiotic resistance. Researchers recorded the first images of bacterial appendages — over 10,000 times thinner than human hair — as they stretched out to catch DNA. These DNA fragments can then be incorporated into bacteria's own genome through a process called DNA uptake or "horizontal gene transfer." 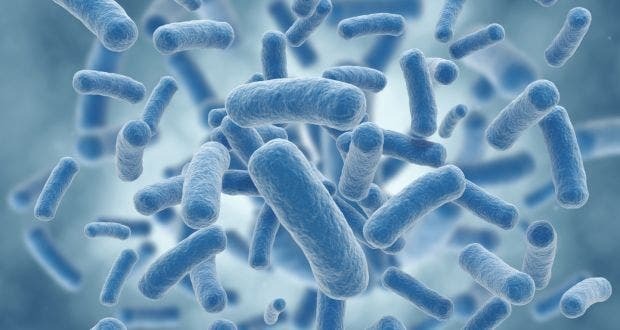 "Horizontal gene transfer is an important way that antibiotic resistance moves between bacterial species, but the process has never been observed before, since the structures involved are so incredibly small," said senior author Ankur Dalia, an assistant professor at Indiana University. "It's important to understand this process, since the more we understand about how bacteria share DNA, the better our chances are of thwarting it," he added. Nearly 1 million people are affected by antibiotic-resistant bacteria each year, according to the World Health Organization. WHO has found evidence of these strains in nearly 490,000 people with tuberculous and 500,000 people with other infectious diseases. Although scientists were aware that pili play a role in DNA uptake, Dalia said that direct evidence demonstrating how they work was lacking until this study. In order to observe pili in action, the scientists used a new method invented at IU to "paint" both the pili and DNA fragments with special glowing dyes. 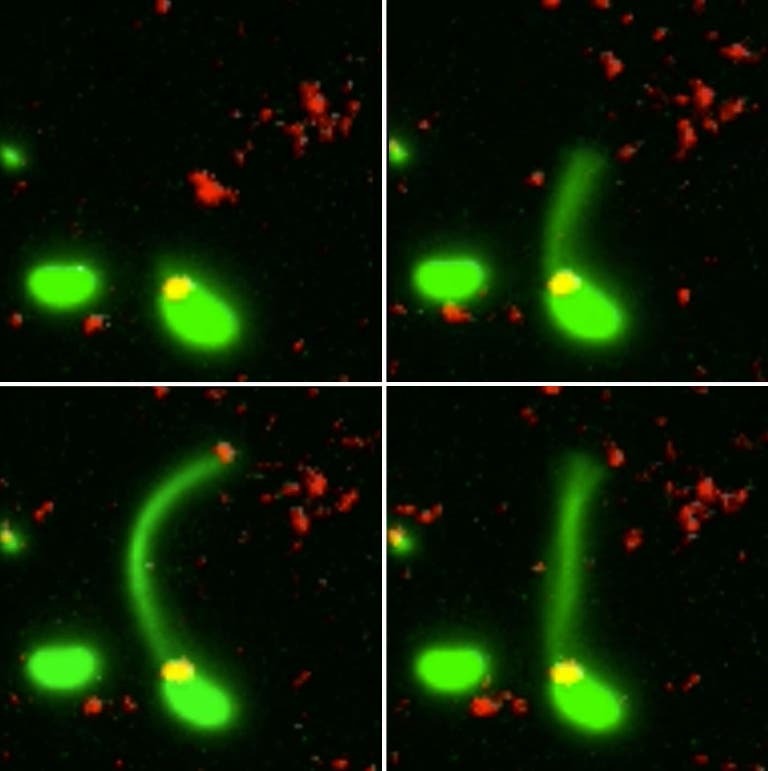 Clockwise from upper left: This series of four still images shows a pilus stretch out from a bacterium, in green, to catch a piece of DNA in the environment, in red. This is the first step in the DNA uptake process. The team who developed the new method to label pili with dyes was led by IU Distinguished Professor Yves Brun and IU Ph.D. student Courtney Ellison. The new study uses these dyes to reveal that pili act like microscopic "harpooners" that cast their line through pores in the cell's wall to "spear" a stray piece of DNA at the very tip. The pili then "reel" the DNA into the bacterial cell through the same pore. Dalia said the pore is so small that the DNA would need to fold in half to fit through the opening in the cell. "It's like threading a needle," said Ellison, who is first author on the study. "The size of the hole in the outer membrane is almost the exact width of a DNA helix bent in half, which is likely what is coming across. If there weren't a pilus to guide it, the chance the DNA would hit the pore at just the right angle to pass into the cell is basically zero." Next, Dalia said the team wants to study exactly how pili "hook" onto the DNA at just the right spot, especially since the protein involved in the process appears to interact with DNA in an entirely new way. They also look forward to applying their pili labeling method to study other functions played by these diverse bacterial structures. "These are really versatile appendages," Dalia said. "This method invented at IU is really opening up our basic understanding about a whole range of bacterial functions."